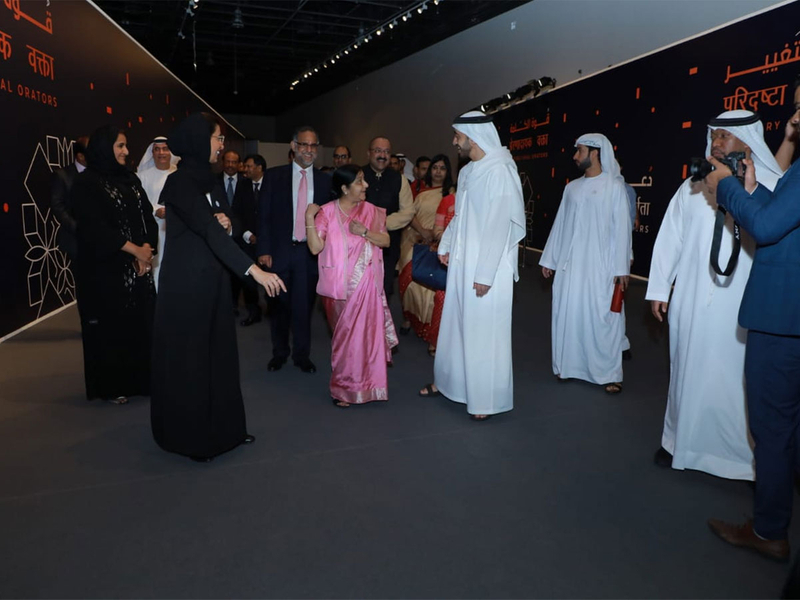 Abu Dhabi: The much-awaited Zayed-Gandhi Digital Museum was inaugurated at Manarath Al Saadiyat in Abu Dhabi on Tuesday afternoon. 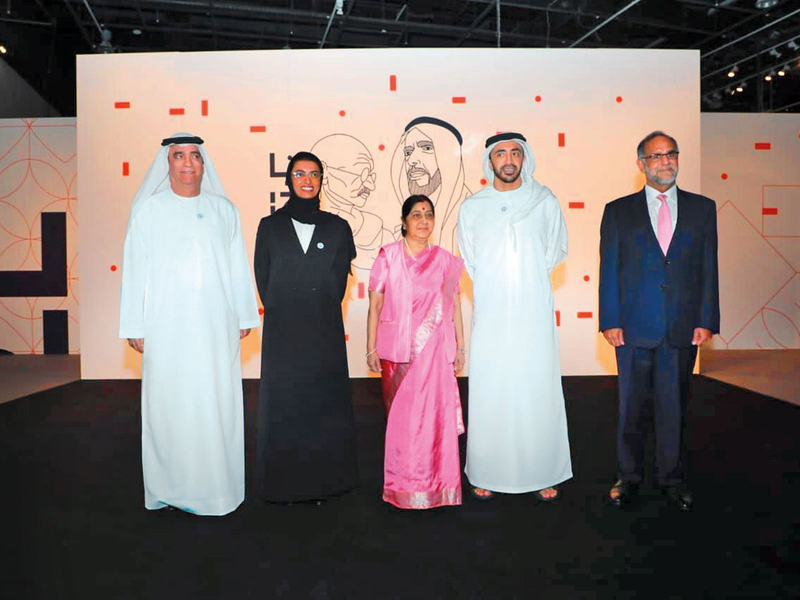 Shaikh Abdullah Bin Zayed Al Nahyan, Minister of Foreign Affairs and International Cooperation, and Sushma Swaraj, External Affairs Minister of India, jointly inaugurated the museum that commemorates the 100th birth anniversary of Shaikh Zayed Bin Sultan Al Nahyan and 150th birth anniversary of Mahatma Gandhi. 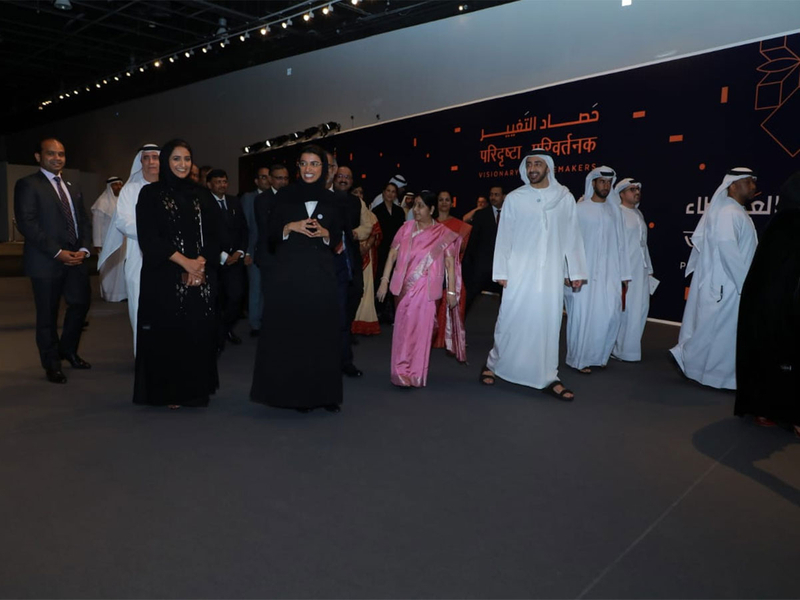 Noora Al Ka’abi, Minister of Culture and Knowledge Development, and many other senior Emirati and Indian officials were also present at the inaugural ceremony. The digital museum is open to the public from Tuesday evening for a week. Thereafter it will be closed and reopened in March, 2019, the officials said. The museum’s interactive digital content will showcase rare photos, videos and objects representing the life, works and philosophies of both renowned leaders, using cutting-edge technologies. It will also reaffirm the historical ties and shared values of peace, tolerance and sustainability between the UAE and India. 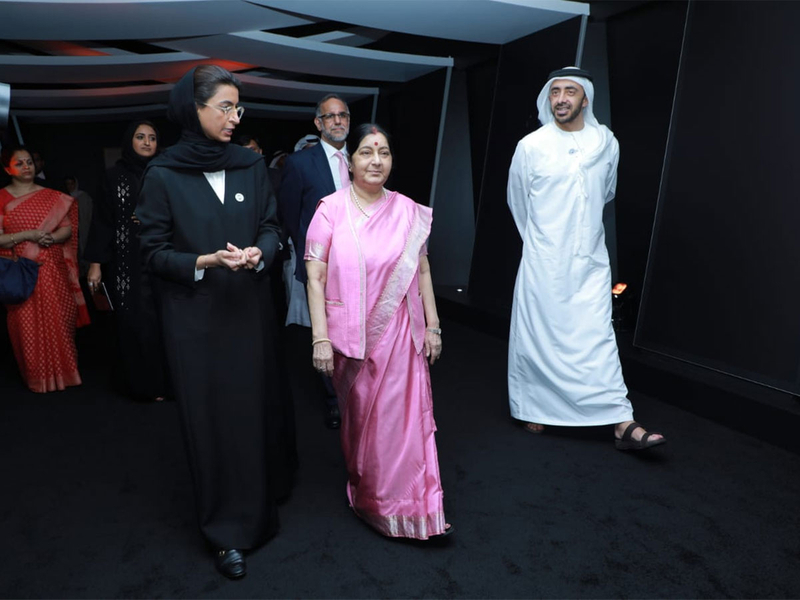 Swaraj arrived Abu Dhabi late on Monday along with a delegation of senior officials and co-chaired the 12th session of the India-UAE Joint Commission Meeting for Economic and Technical Cooperation. 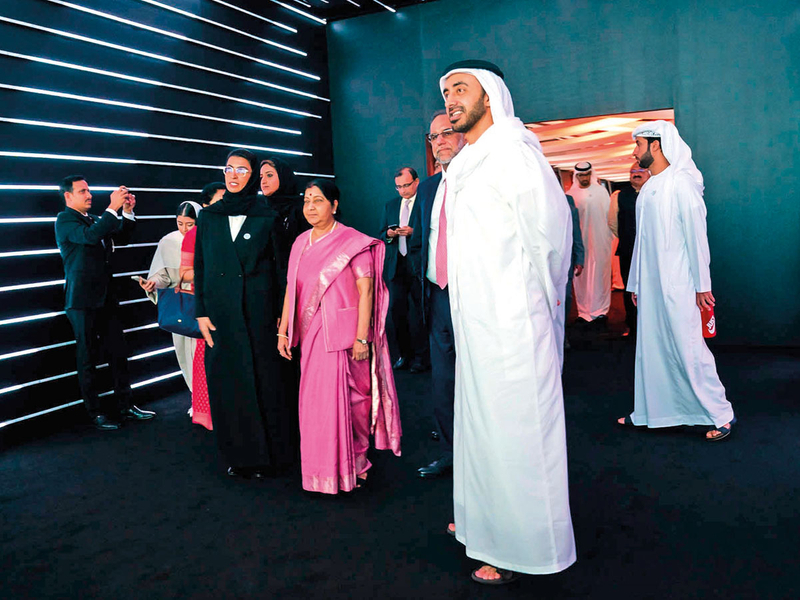 Abu Dhabi : The UAE and India signed two Memoranda of Understanding (MoUs) on Tuesday during the official visit of Sushma Swaraj, Indian Minister of External Affairs, to Abu Dhabi. 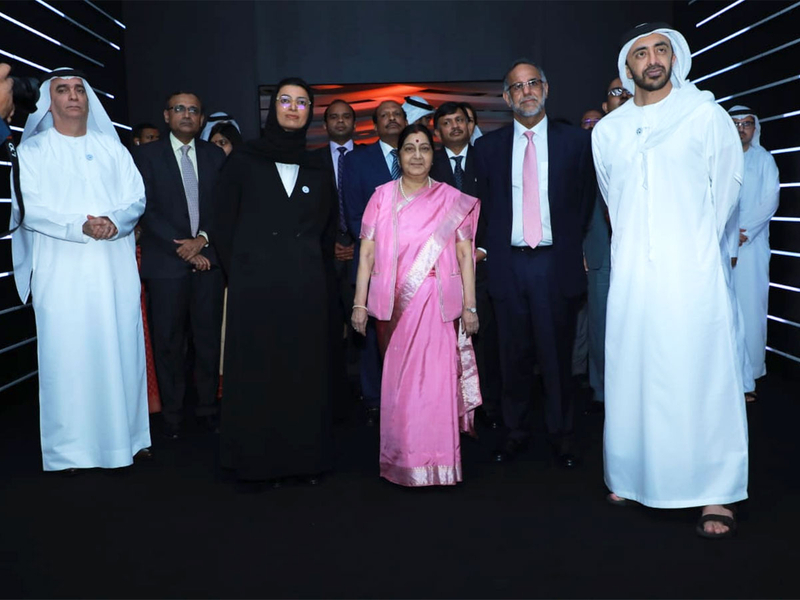 The deals were signed on the sidelines of the 12th session of the India-UAE Joint Commission Meeting for Economic and Technical Cooperation, Indian officials told Gulf News, without divulging further details. They said an official announcement about the deals and the bilateral meetings would be issued soon. Swaraj had a bilateral meeting with Shaikh Abdullah Bin Zayed Al Nahyan, Minister of Foreign Affairs and International Cooperation. 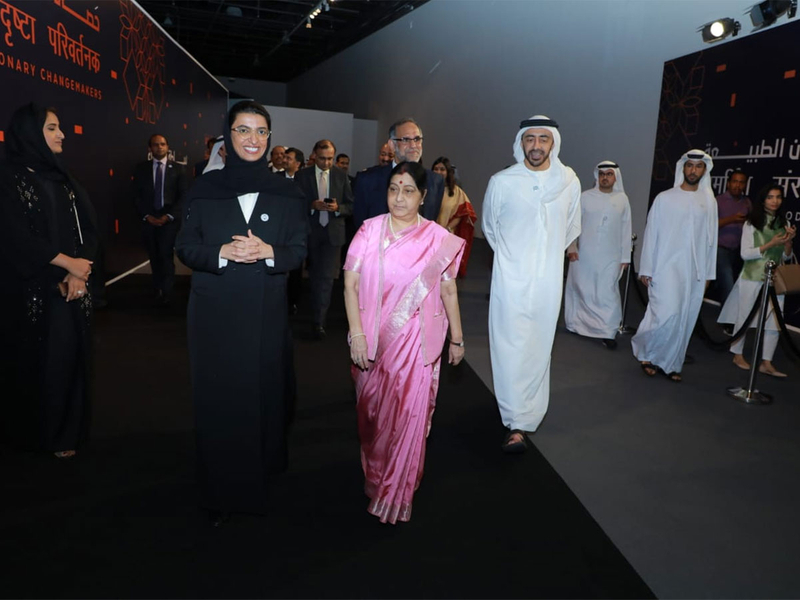 Shaikh Abdullah hosted a luncheon for Swaraj in the presence of senior Emirati and Indian officials at Manarat Al Saadiyat after inaugurating Gandhi-Zayed Digital Museum. The digital museum will be open to the public in March 2019 only. However, people can have a glimpse of the exhibition for just five days starting today. Where: Hall A, Manarat Al Saadiyat on Saadiyat Island in Abu Dhabi.